The Passion Play is a biblical drama that portrays the Easter story. It depicts the events of Jesus Christ’s trial, death and resurrection and may also extend to the events of his life, works and miracles. Today it is are performed at Easter and often takes place in public spaces such as city centres and town squares as free, community-led performances. 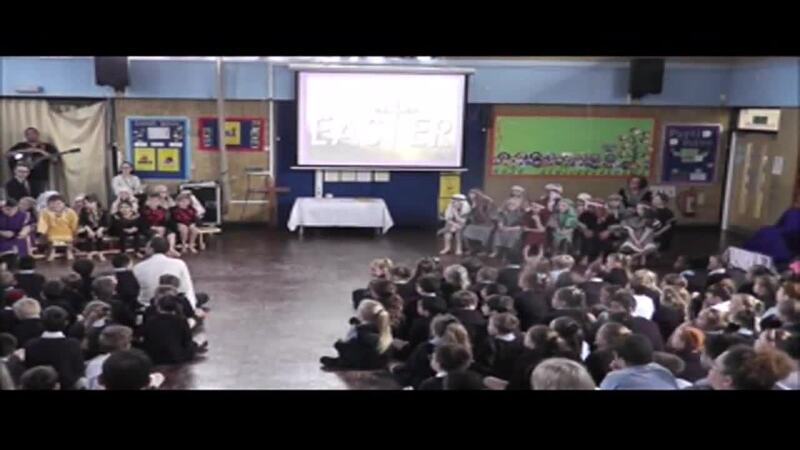 Children in Year 4 performed the Passion Play in the lead up to Easter. The script is designed to teach the children across Foundation, Key Stage 1 & 2 about how Jesus died and suffered for us. It gives us as a Christian family of St Sebastian’s & St Cuthbert’s the true meaning of Easter.